By Charisse Conanan Johnson, CFA. Charisse is a T.V. personality, financial wellness expert, entrepreneur, writer, and speaker. Charisse is the creator of the Charisse Says Show. You can follower her @CharisseSays. The stock market can be quite daunting for the novice, as well as the expert. But, rest assured, the market can also be very fun when one can make money from it. Yes, stocks have provided a 6.7% annual return historically, and I’ll show you what that means in dollars! The So You Think You Know the Stock Market video challenges you to re-imagine how people buy and sell U.S. stocks. Literally, I will draw it out. You will also get anecdotes from when my mother bought me my first stock so I could attend Yale University to when I traded stocks for one of the biggest investment firms in the world. If my mother (who is a nurse by training) can invest successfully, so can you. You will find out what Fitbit, Alibaba, and GoPro have in common as well as why the NASDAQ means more to you then you realize. Also, have you ever wondered how the market really works? I’m sure you’ve heard of the terms – initial price offering (IPO), asset managers, investment banker, S1 filing, Security and Exchange Commission (SEC), to name a few. Well, I will demystify how all of these events, filings, and groups work together in order to create long-term value over time. During my tenure as an equity research analyst for JPMorgan’s Mid Cap Value Fund, I learned how all of these players come together to form the “market.” And, whether the market is in the U.S., England, or China, if an investor understands how one market works, he will understand the basics of another. Furthermore, you will learn which investment companies get access to investments first, and why. Whether you want to smartly use stock investments to pay off student loan debt or be more knowledgeable about what the financial commentators are saying on T.V., this video is for you, or at least someone you know. And, if you’ve ever wanted to own your own business, here’s your chance to see what you might have to look forward to – trading as a public company on a stock exchange. Even if you have a financial advisor, then you need to understand the basics of the market in order to ask him or her good questions. 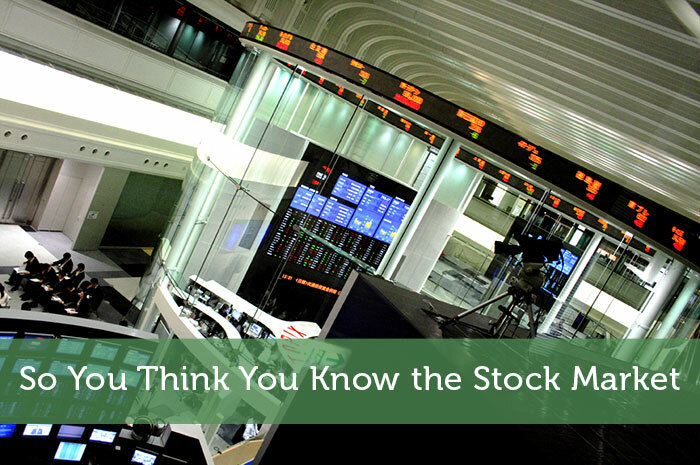 While a financial advisor’s credentials should imply that they understand the stock market, they often do not break down exactly how the stock market works and what it means for your investments. Also, you will be much better positioned to ask your financial advisor good questions, and evaluate whether or not you should move forward with him or her. Yes, all of this in a SHORT video. Even if you don’t care to know much about the market, you will have fun watching a fresh perspective on how the market actually works. When you see me dance to my own IPO, with Diana Ross’s “I’m Coming Out” as my anthem, I know you will want to make your own investments. Let’s be real – anyone who says they “know the stock market” is lying, or at least very foolish. Unless they mean they “know the stock market” as in they know the stock market is basically a roulette wheel, then alright, I know the stock market too in that case. Charisse, this is absolutely fantastic. I think every time one of my friends thinks they know how to invest and “make millions” something always comes back to bite them. While investing in stocks has been a historically great way to invest we must all remember there are Enron’s and MCI’s all over the place out there. Keep up the great work and great job on the video! Thanks for your video. My wife and I have talked a lot about starting to invest in some stocks. However, it is a really daunting prospect. I don’t want to jump in blind expecting huge returns and I appreciate your going over the basics for a stock market novice like me. Is there anything else you would recommend I read or look at before I start my stock portfolio? I would highly recommend you read The Little Book of Common Sense Investing by John Bogle. Bogle is a proponent of index funds that track the overall stock market, such as the S&P 500. I think this is a good place to start for most novice investors or those just starting out. Rather than starting with stocks, which require lots of knowledge and learning to get up to speed, the index funds Bogle advocates are an easier place to start. Once you understand the pros and cons of indexing, you can move on to further studying up on security analysis if you so choose to construct a portfolio of individual companies. The Bogleheads forum is a good resource to chat with and gain perspective on your first steps into investing.